I’m Ed Smith, a Modesto Brain Injury Lawyer. Most people know someone who has had a stroke in their life and this has the potential to be devastating for families everywhere. Strokes have many different causes and some of these can result from neurological trauma. It is important to understand the relationship between these two so that the proper actions can be taken. When people sustain a cut, they have likely noticed that after a few minutes they typically stop bleeding. This is because blood tends to clot in order to stop the bleeding. While blood clots are great to stop people from bleeding, they could also occur in the wrong place and become life-threatening. For example, blood clots in blood vessels of the heart are heart attacks. Blood clots in the pulmonary arteries are called pulmonary emboli. A blood clot in the brain is a stroke and these can happen for any number of reasons. They can also occur due to a traumatic brain injury, leading to any number of different symptoms. How is a Stroke Related to a Traumatic Brain Injury? When someone has been diagnosed with a traumatic brain injury, it is important to make sure that this neurological trauma does not lead to a stroke. 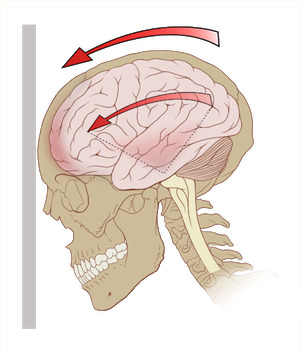 When someone sustains an impact to their skull, this can lead to a reaction that causes swelling in the brain. These reaction factors have the potential to clot together, causing a stroke. This traumatic injury can also free up clots from elsewhere in the body. If these are carried to the brain, this can also lead to a stroke. Therefore, it is important to think about how trauma in one part of the body can impact other organs, such as the brain. If someone has suffered a stroke, they are likely to undergo a significant amount of physical therapy. This therapy is going to depend on the symptoms that present after the stroke has occurred. Some patients could have changes in personality while others could suffer loss of motor function or sensory perception. While some of these issues could be amenable to correction with therapy, other changes could be present for life. 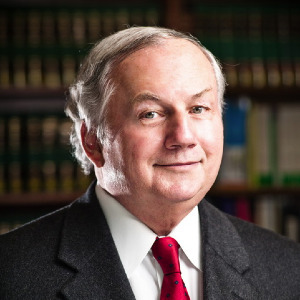 I’m Ed Smith, a Modesto Brain Injury Lawyer. If you or someone you hold dear has suffered a head or brain injury you are not alone. Reach out to me for compassionate, free and friendly advice. You can reach me at (209) 227-1931 or (800) 404-5400. The Million Dollar Advocates Forum in the California area has invited me into their ranks. The trial lawyers in our fold have helped families and clients settle cases and achieve verdicts on their behalf valued at more than $1 Million. Everyone is welcome to look at my verdicts and settlements on this page. Visitors should view some of the summaries authored by some of my earlier clients on Avvo, Yelp, and Google. Image Attribution: The CC License, version 2.5, has granted permission to show this artistic rendering which was located originally on Wikimedia Commons.